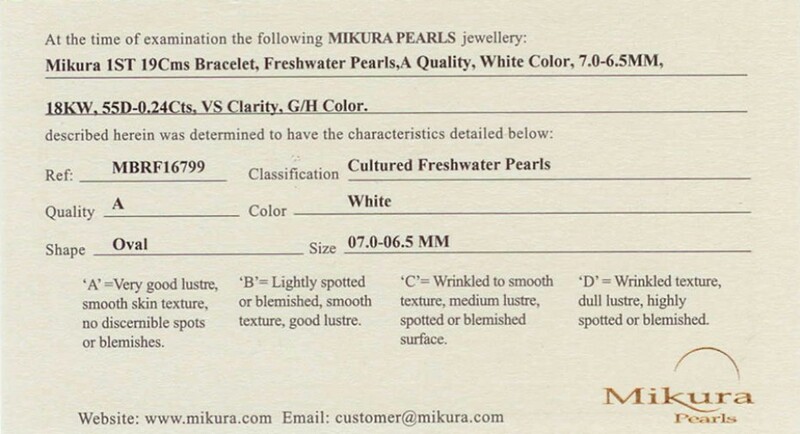 Pearl Bracelet with Treated Black Freshw..
Pearl Bracelet with Freshwater Pearls, A Quality and White 7.5-7.0 mm with 0.23 carats of diamonds and 18 Karat white gold. The price listed is for a standard length of 19 cm. 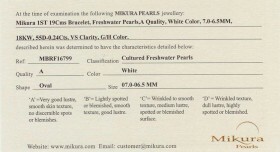 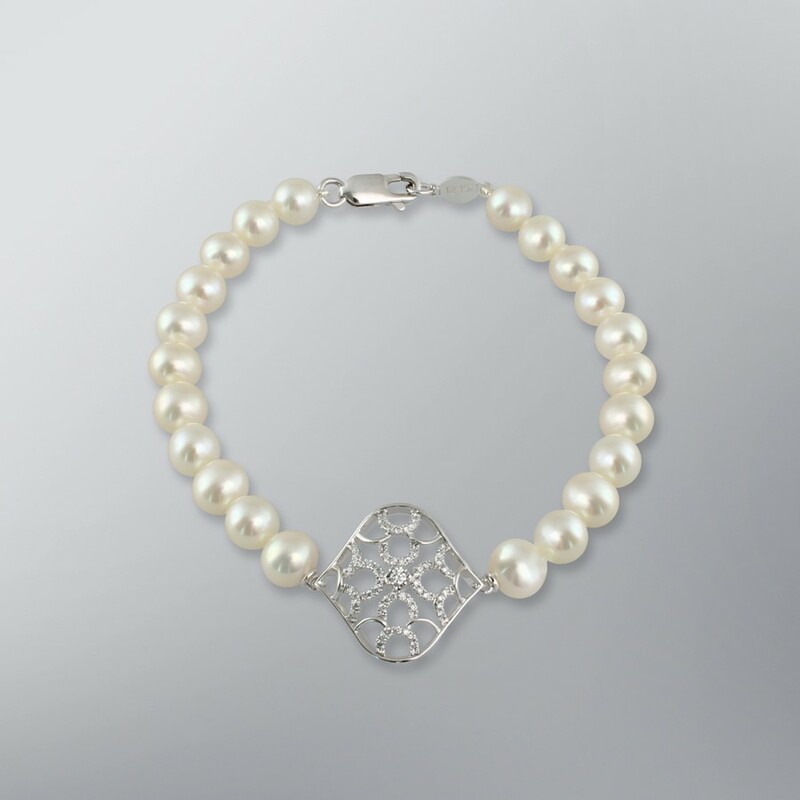 You have the option of customizing the bracelet by selecting your desired length options below.